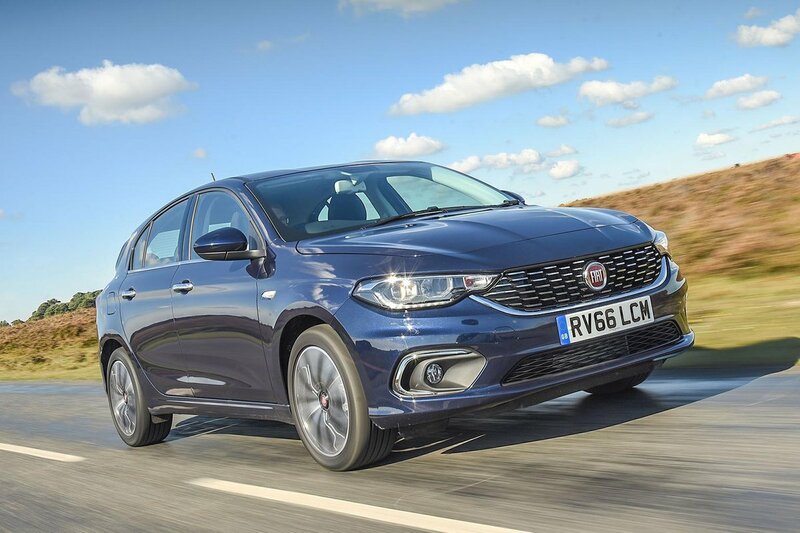 Fiat Tipo Interior, Sat Nav, Dashboard | What Car? 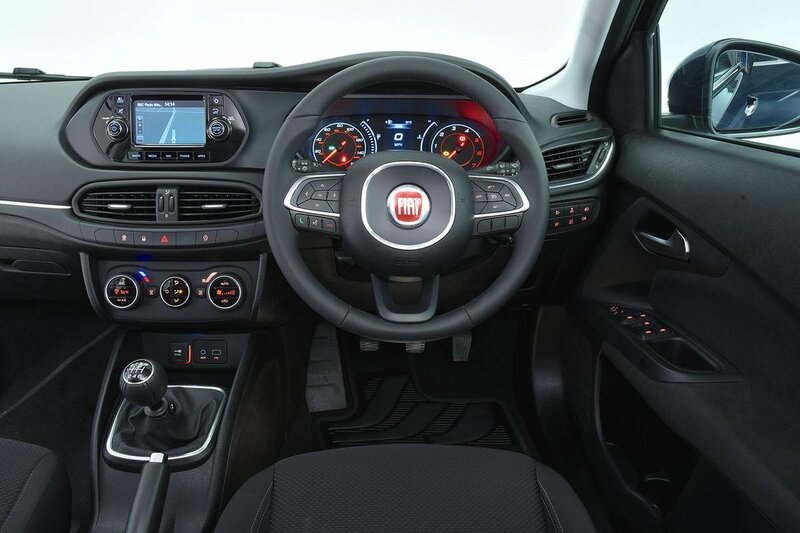 There's a bit of soft-touch plastic on the top of the dashboard, but hard plastic almost everywhere else. The hard stuff has an odd texture and some of the buttons and switches on the dashboard feel a bit low-rent. It's hard to grumble about this if you're choosing one of the cheaper versions, but you'd expect a more premium interior when paying the sort of cash the range-topping 1.6 diesel commands. Getting comfortable is easy enough thanks to plenty of adjustment in both the steering wheel and driver's seat. If you plan on doing long distances on a regular basis, it's definitely worth adding the Comfort Pack which brings adjustable lumbar support for the driver’s seat, along with climate control and a rear armrest. Top spec Lounge models receive these items as standard. Visibility is okay out of the front, but thick rear pillars and a small rear screen restrict your over-the-shoulder view. 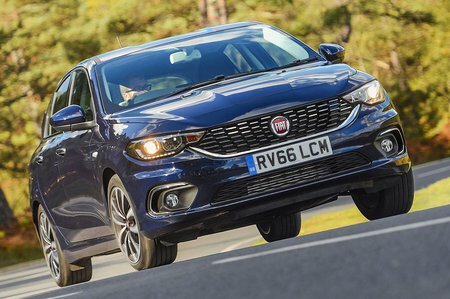 Rear parking sensors are standard on all but entry-level Easy trim to help get around this, while range-topping Lounge trim brings a reversing camera. The 5.0in Uconnect touchscreen (standard on all but entry-level Easy models) is very small, but it's mounted high on the dash, so you don't need to divert your eyes far from the road to see it. However, some of the menu icons are small and there can be a delay when selecting a function. All models get Bluetooth, DAB radio and a USB, while range-topping Lounge trim adds sat-nav with Live services.